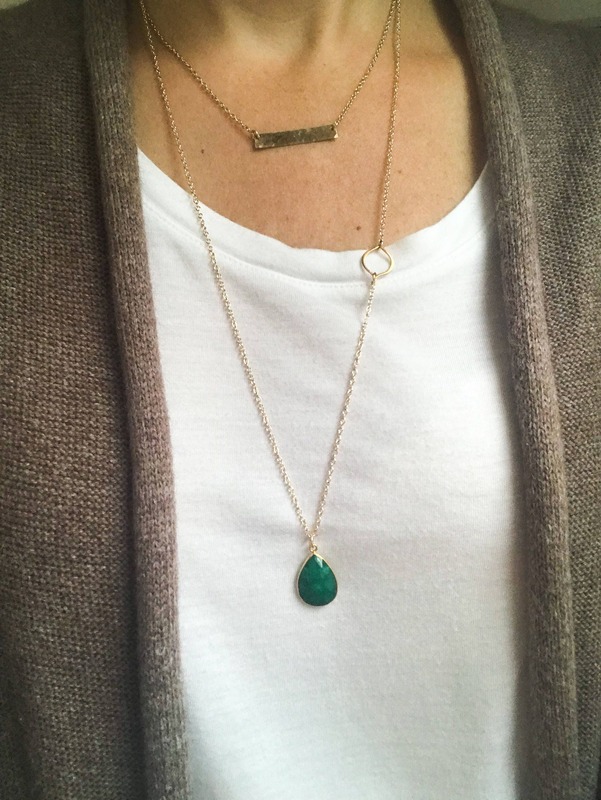 The perfect layering necklace to go with many Magpie Studio + Co. necklaces! 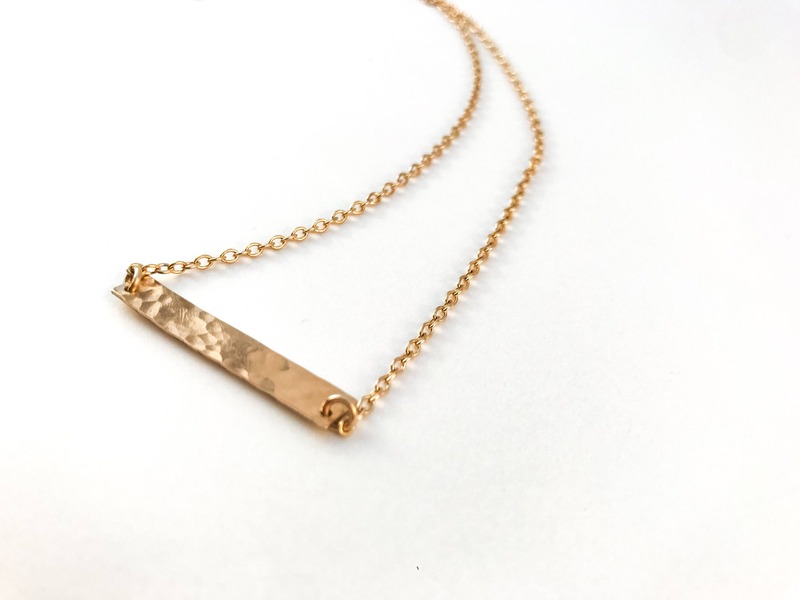 This 14K gold filled hammered bar necklace offers a different style and texture when added with other necklaces. 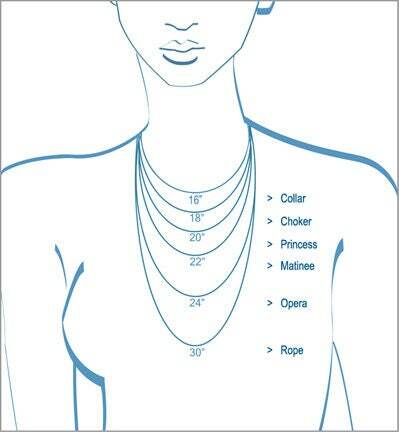 This is an everyday necklace that can often be worn alone. 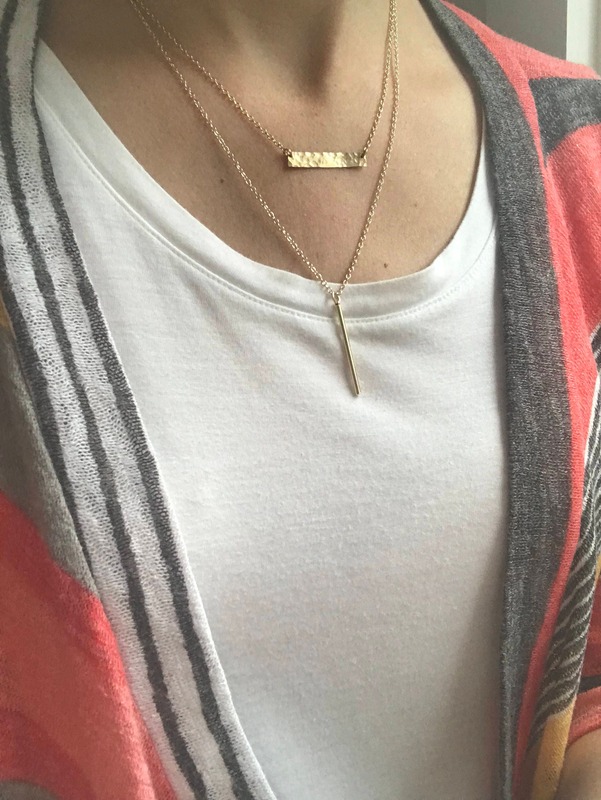 This gold bar necklace is hammered only. Personalization not available on this piece. 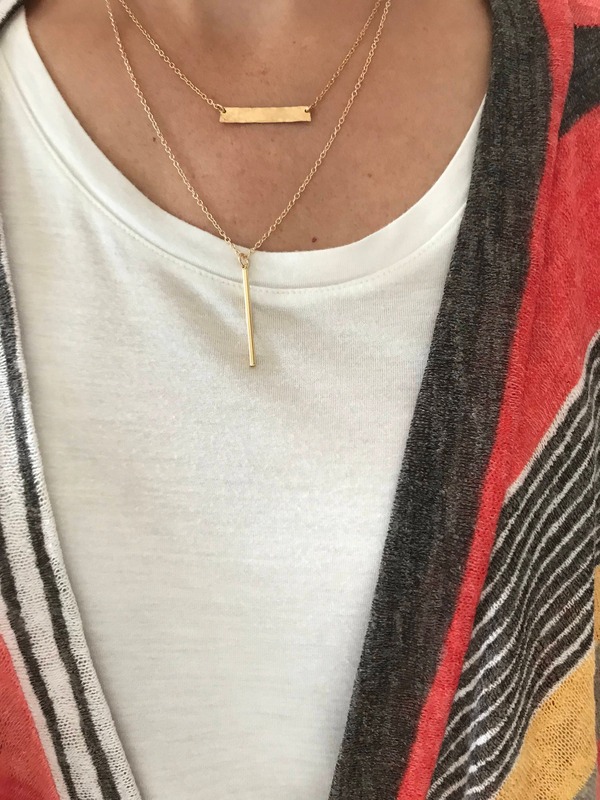 The smooth Bar Necklace can be personalized.